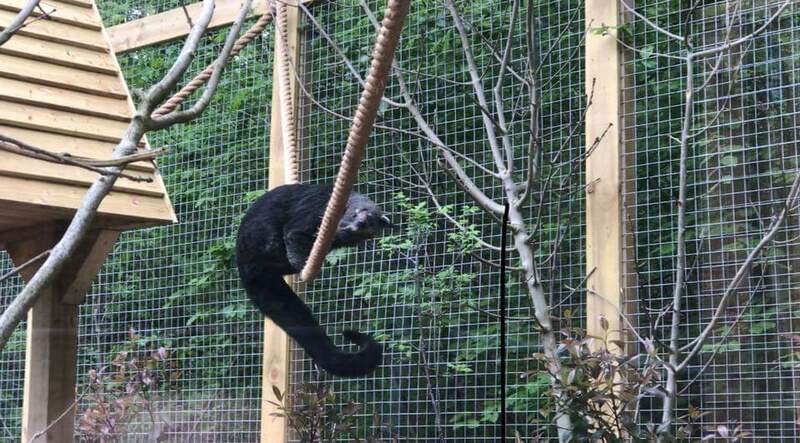 DZG’s new binturong Elliot arrived just in time to celebrate World Binturong Day today. This is the first time we’ve held the fascinating species and our gorgeous one-year-old binturong has been seen exploring his wonderful new enclosure. Elliot joined us from Olomouc Zoo in the Czech Republic and moved into his impressive £25,000 abode at the start of the month. 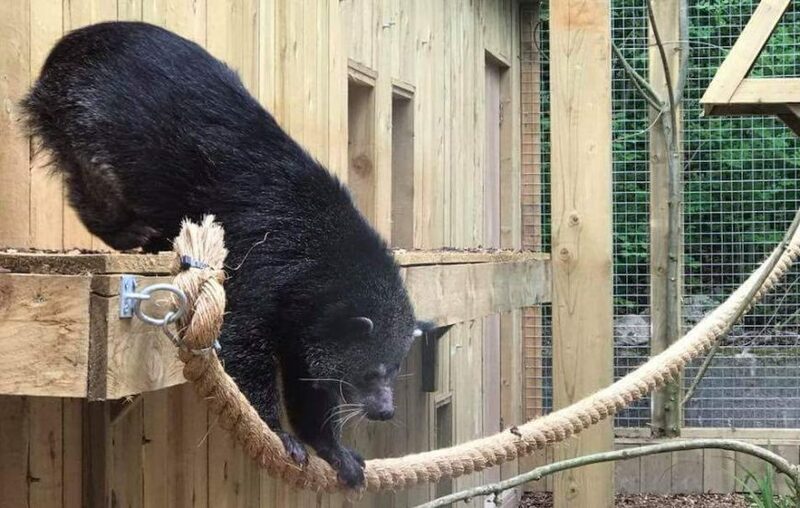 Senior Keeper Sam Grove said: “It’s great to be able to celebrate World Binturong Day for the first time and raise awareness of the plight these creatures face in the wild. The binturong, also known as a bearcat, is an arboreal species from South and Southeast Asia. It has scent glands under its tail which it uses to mark out branches and foliage in its territory, but to humans it smells like hot, buttered popcorn. 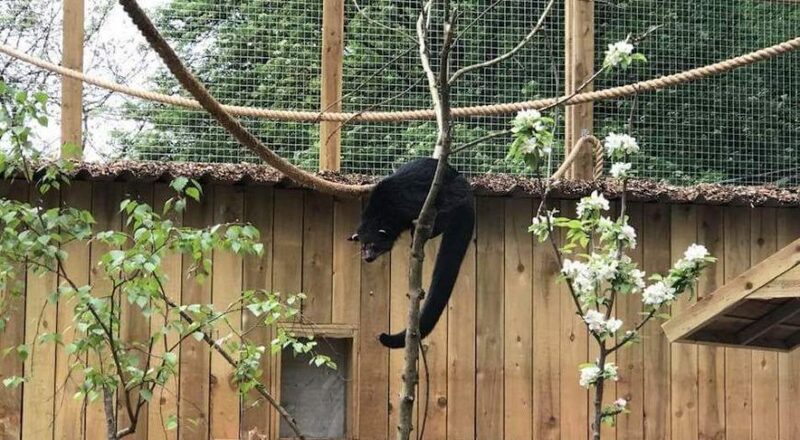 Binturongs are excellent climbers and can sleep high in tree branches. They are classed as vulnerable in the wild and the threats they face include habitat loss, hunting for fur, meat, traditional medicines and capture for the pet trade.